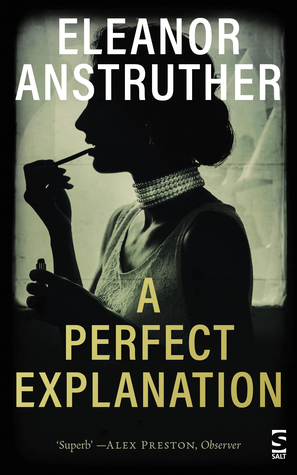 Firstly I wish to thank Agnes Rowe of Midaspr for inviting me on the Blog Tour for A PERFECT EXPLANATION by Eleanor Anstruther. Exploring themes of ownership and abandonment, Eleanor Anstruther’s debut is a fictionalised account of the true story of Enid Campbell (1892–1964), granddaughter of the 8th Duke of Argyll. This is one mesmerizing story that I can’t recommend enough. The story is told on two-time lines, one set in a nursing home where Enid Campbell resides, a very aloof woman who after a life time still does not fit in with the people around her. The year is 1964 and her daughter Finetta is due to make a dutiful daughter call on her but one of the nursing home staff has told her that her son Ian is also going to accompany her daughter today. A son that has not seen his mother for 25 years. The story bounces back to this day and the anticipation of his arrival. The primary time line is set in the past, after the first world war and before the second world war. Enid Campbell was the granddaughter of the 8th Duke of Argyll and would have been able to live out her life quietly in luxury but when he brother, and heir to the family fortune and title dies in the first world war, not having left any children to continue after him, then the responsibility to produce an heir goes to Enid. Enid and her now newly widowed mother don’t have a great relationship so she sort of panics in case the family fortune is passed by her and on to her sister. Enid marries Douglas, not really a man who her mother would have approved of and they have a son Fergus, who from birth obviously has a condition that no-one will recognise. The little boy is clumsy with an enlarged head and prone to falling down a lot. Now I do have to feel sorry for Enid to be honest as she does love her son dearly but when an accident results in him becoming blind his grandmother makes no excuse for wanting him to be sent away into a home and forgotten about and replacement being produced as soon s possible. Enid had already a daughter, Finetta but a healthy son was demanded of her. Ian was born not too long after leaving Enid obviously suffering from post-natal depression. Although this story is fiction it is wound round fact. Enid Campbell was the grandmother of the author of this book who has researched her family history through every means possible, including court documents, medical files and Ian, her own father’s account of his childhood. The accounts portrayed in the book of him as a young boy are horrendous at times, some things that occurred I would think were terrifying, unforgivable and life scarring. This is an outstanding family history put together in a way that tells of paths that were demanded to be followed through tradition, heart breaking that children could be used as a means to an end or sadly hidden away. In the epilogue the author describes how the writing of this book came about, Finetta the only one, besides her father that she ever knew. The feelings have been put together as how she believes they would have occurred and this worked perfectly for me. This has to be one of my favourite reads of this year. Just outstanding! Eleanor Anstruther was born in London, educated in Westminster and read History of Art at Manchester University before travelling the world. Eleanor has ridden a motorbike from Mysuru in Karnataka to Manali in the Himalayas, has set up a commune in Surrey, ran a clinic for a Shaman and organised the building of the largest stone circle since Stonehenge. She currently lives in Surrey with her twin boys.